Salman Khan shared insights about shooting in Kashmir during a promotional tour on Tuesday with 'Bajrangi Bhaijaan' team. 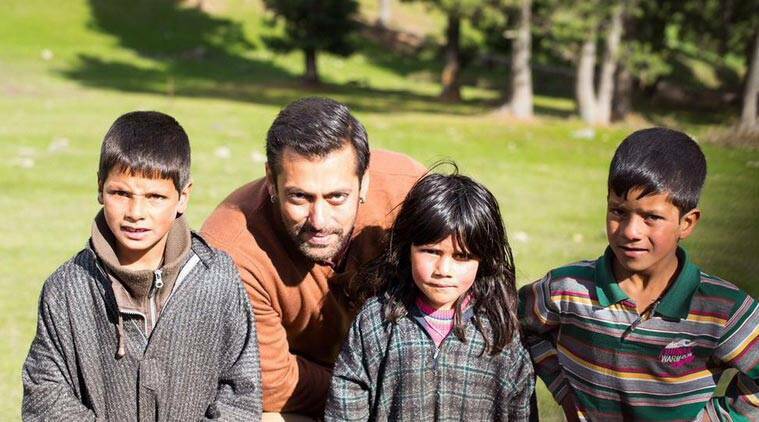 Superstar Salman Khan says shooting in Kashmir for his forthcoming film “Bajrangi Bhaijaan” was an “incredible” experience, adding that the place offers a whiff of freshness on each visit. “The experience of shooting in Kashmir was incredible. It is a beautiful place with beautiful people. We have such amazing places in our country and we don’t want to shoot there…how silly of us,” Salman told reporters here. The actor shared insights about shooting in Kashmir during a promotional tour here on Tuesday with the film’s team – director Kabir Khan, actors Kareena Kapoor Khan and Nawazuddin Siddiqui, singers Mika Singh, Adnan Sami, Jubin Nautiyal and Amar Butala, CEO of Salman Khan Films. The actor also noted that a number of Bollywood filmmakers are flocking the place, often termed as a ‘paradise on earth’, for work. “They have started shooting as two to three films are already out there. But no matter how much you shoot there, the place will always be beautiful and fresh as before,” the actor added. The “Dabangg” star is smitten by the beauty of Kashmir as he had earlier mentioned that “if someone has not seen Kashmir, he or she has seen nothing at all”. He had also mentioned that Kashmir reminded him of his former ladylove Katrina Kaif. The film, which has also been shot in Mandawa and Delhi, is a story of man, who is out on a mission to take a dumb and mute girl, lost in India, back to her home in Pakistan. It will release on Friday.